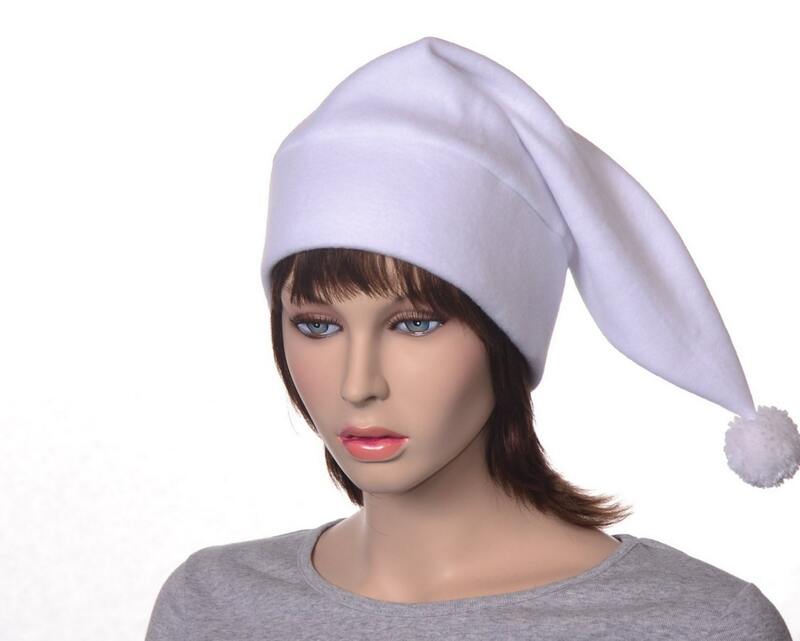 Long pointed beanie hat in bright white. 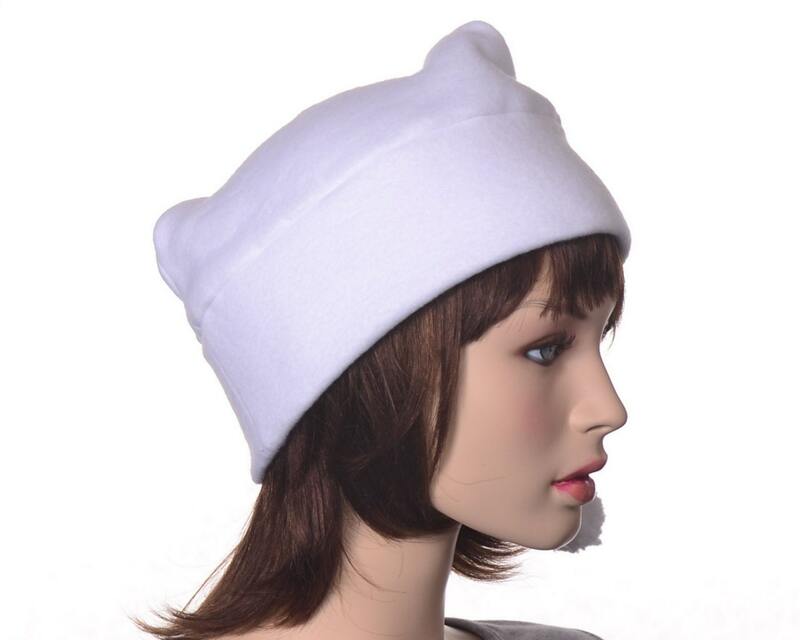 This stocking cap is made from fleece. There is a hand tied white pompom on the tip. Measures about 20 inches long. Made and ready to ship, no wait.